You have run out of arrows and now have no choice but to engage in close quarters combat. Confidently protect your hand or arm with the stylish Elven LARP Buckler, while fighting with a sword or wielding daggers. 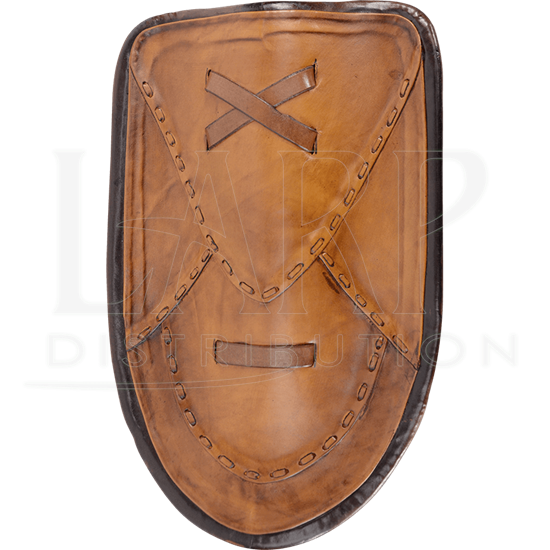 This small shield is crafted from multiple layers of leather wrapped around durable foam. The closed cell foam provides a solid body that can absorb impact easily. 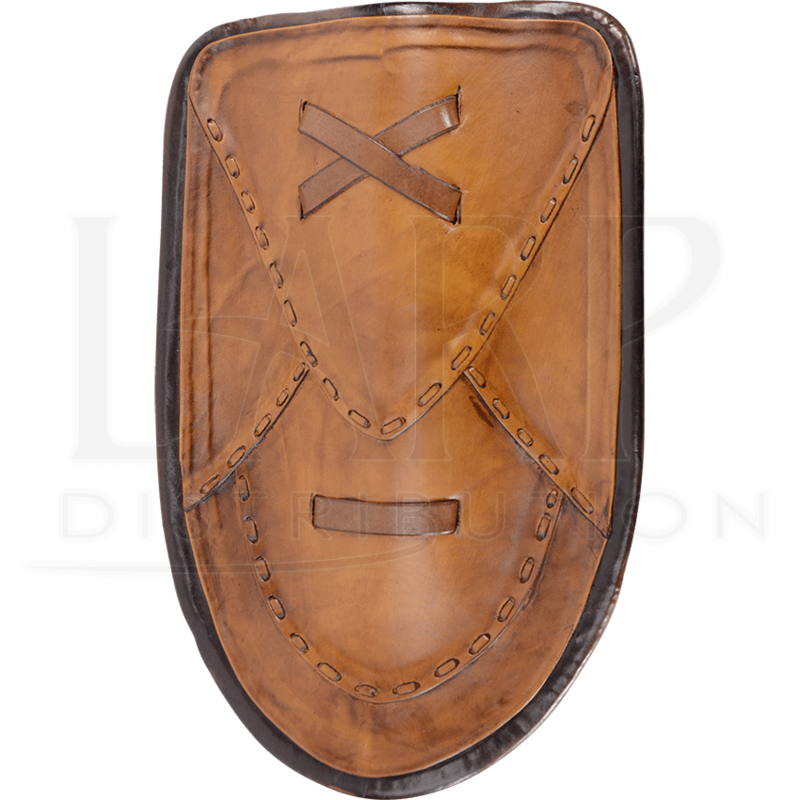 With three leather arm straps, you can easily hold this shield in your hand or strap it to your arm for true versatility. The face of the shield displays unique stitching patterns that enhance the medieval design. Hope for the best and prepare for the worst at your next battle with the Elven LARP Buckler.